If you’re a long time reader of Rock My Wedding you’ll already know that we encourage every single couple planning their day to stay true to themselves and have the day that they really want. Not the day that your mum wants (controversial! ), or the day a glossy magazine is telling you to have because… “trendy”. We want you to do all the things that will make your hearts sing and most importantly, be looked back on knowing it truly was YOUR day, your way. We’re also advocates of seeking out the very best suppliers to help you achieve this dream, and for some of you that will be a bespoke planning and styling support service. Today we’re introducing you to one of our epic, handpicked Planning & Styling suppliers, Helaina Storey, who will literally take your vision and ideas and help bring them to a not only beautiful crescendo of loveliness, but in a seamless yet fun way too. Helaina Storey Wedding Design’s ethos is so perfectly aligned with that of RMW we just know you’ll achieve wonderful things together. Helaina Storey Wedding Design offer creative and contemporary planning, styling and hire for weddings and events in London, Kent & beyond. Their approach is understated, elegant and dynamic, entirely bespoke and unique to each and every client, with a focus on style, design, individuality and beautiful, timeless aesthetics. 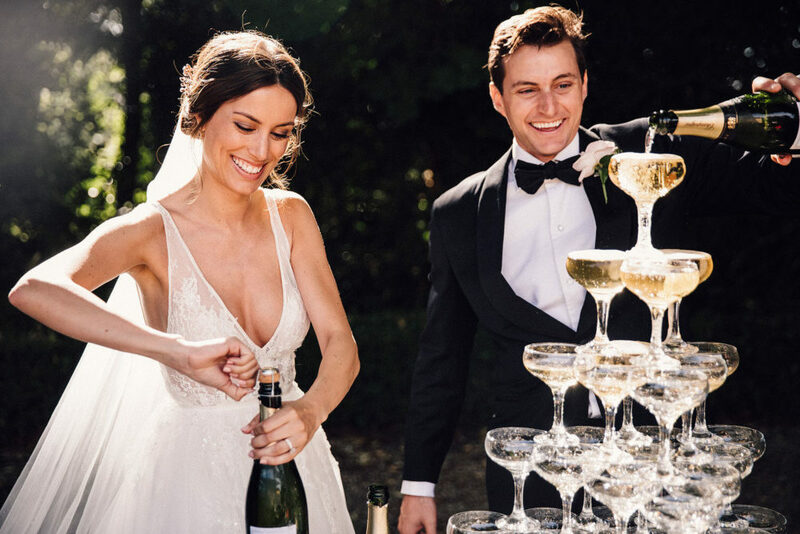 Helaina and her experienced team curate memorable, stand-out wedding days that exude the personalities of their couples, and are brimming with personal, thoughtful, carefully considered and meaningful details. Their ethos is honesty, transparency and tremendous amounts of passion and fun, creating the most magical moments and memories for you and your guests. What does that even mean?! Bespoke planning and styling is a support service which will either help make your day look how you’re imagining, or run like the smoothest sailing ship, or perhaps both, if that’s what you fancy. Either way the approach will be unique to you two, tailored to your every wish and need. Not the cookie cutter approach. Don’t forget to visit Helaina Storey Wedding Design for your bespoke planning and styling needs, and the wealth of other talented industry professionals who have been handpicked for The List. All have the desire to assist you in creating the day you’ve been dreaming of, so what are you waiting for? Our ideal client seeks unforgettable adventure and unparalleled beauty in equal measure. A discerning, tasteful, stylish, fun-loving couple who know how to have a good time and appreciate the magic in making memories! We want to get to know everything about you and what makes you tick so we can help to curate every tiny, considered, personal, thoughtful and unique detail of your wedding day on your behalf and you can totally relax knowing everything is in safe hands, enjoy being a guest at your own big day and drink all the bubbles. Sounds heavenly, doesn’t it? We got married in 2016. Twice. Why have one wedding, when you can have several!? I am interiors-obsessed. We are currently in the process of building our dream house which I can’t wait to start filling with pretty and so much of my wedding design work is inspired and influenced by my love of interiors and vice versa! I wear my heart on my sleeve and am 99.99% guaranteed to cry during your speeches. The father of the bride gets me every time. I have a number of bucket list destinations including Bali, Iceland, Santorini, Corsica, Marrakech, Tuscany and New Zealand, so if you are planning to get married in any of these places, let’s chat! If I wasn’t a wedding planner, I would be a photographer. I studied the subject (briefly) at college when I left school and would love to be taught again properly or mentored one day by one of the greats. I currently have 75,796 photos on my phone’s camera roll and have a passion for heirloom albums and fine art prints. There is something about recording precious moments in time and the tiniest, most significant details we would possibly otherwise forget, creating a future legacy for later generations to enjoy and treasure, that just makes my heart happy. I’m blown away by the artistic and creative photography talent in this industry and capturing those fleeting moments on a wedding day is one of the most important things in my opinion! My biggest advice would be to put this at the top of your wedding planning priority list and spend whatever you can afford on an incredible photographer AND film maker (and wedding planner, of course! ), whom you truly connect with. You can find Helaina Storey Wedding Design in the Planning & Styling category of The List. I endorse this presentation about Helaina. We had the chance to work together last year on a wedding in South of France. As a photographer, she was great to deal with and made an incredible job on that destination wedding. Thank you so much Christophe! It’s so kind of you to leave feedback and likewise….We absolutely love working with you! Merci beaucoup!